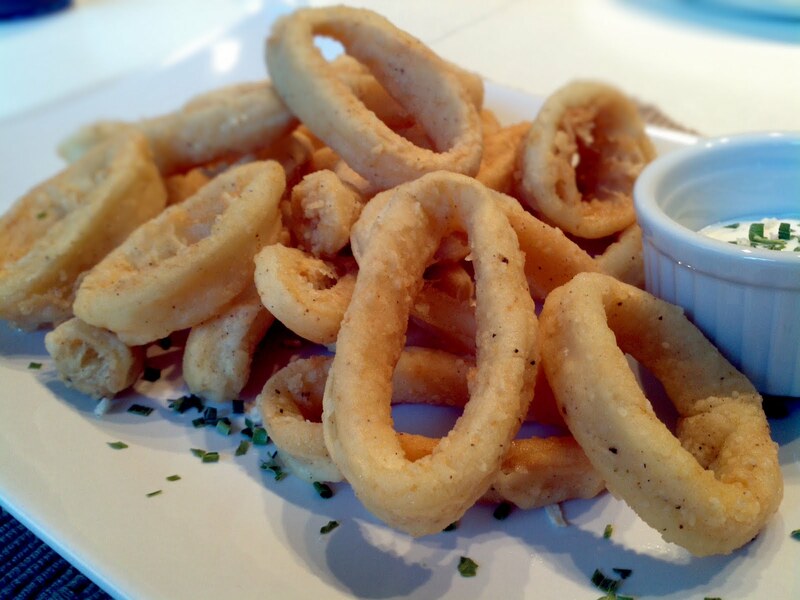 We order fried calamari once in a while when we go to a restaurant. Because of the high levels of cholesterol in squid, I am not so keen on making it at home. Yesterday I felt that I had an urge to make it, thinking that treating ourselves occasionally with something that is not considered healthy shouldn't hurt. So I looked up recipes of fried calamari on the internet and noticed that most of them are quite similar. The basic ingredients are flour, salt and pepper. I decided to go with the one from Giada De Laurentiis on the Foodnetwork channel. I made my own dipping sauce, simply a mixture of 1 tablespoon of mayo and 1 tablespoon of sour cream. For a bit more flavor, I also added some dried parsley and chives to the dipping sauce. Marinara sauce – I made a different dipping sauce. Pour enough oil into a large saucepan. Heat over medium heat to 350ºF. Mix flour, parsley, salt and black pepper in a large bowl. Working in small batches, toss the squid into the flour mixture to coat. Add the squid to the oil and fry until crisp, about 1 minute per batch. Transfer the fried calamari to a plate lined with paper towel to drain. Place the fried calamari on a serving plate.